Spring City Juleps Release Giveaways: http://www.rafflecopter.com/rafl/display/bd5e03053/? 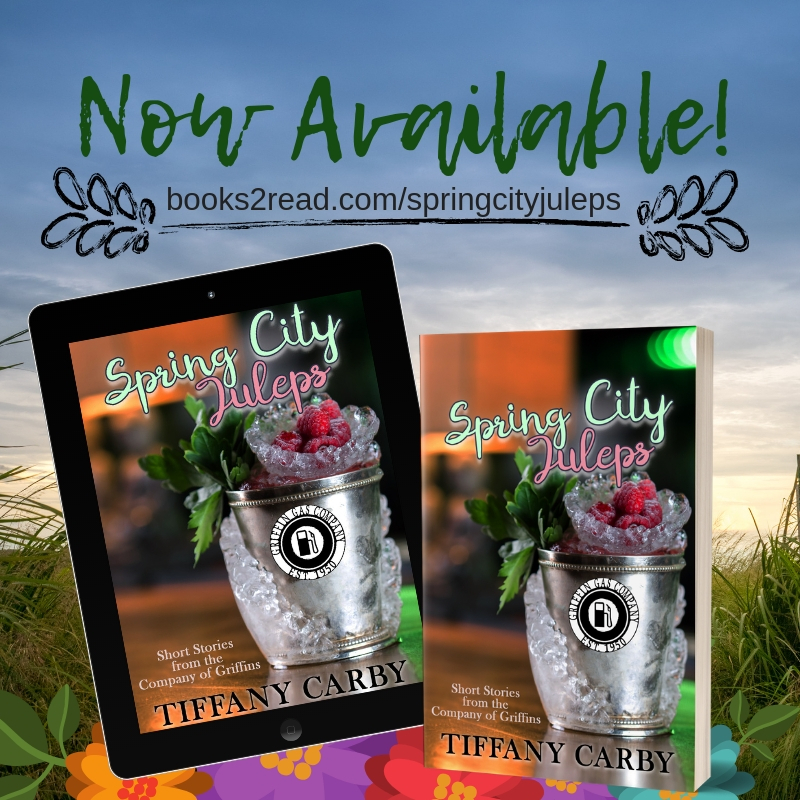 Spring City Juleps brings you four tales from the Company of Griffins series… Bad Egg, Gettin' Lucky in Kentucky, Old Flame and French Kissed introduce you to many Spring City characters. This contemporary romance collection contains three novellas and one short story from the #GriffinGasCompany. Valerie Webber is desperate. Julian Knight is hiding a dark secret of his own: a secret decidedly deadlier than a criminal ex-boyfriend seeking vengeance... What will happen when their paths cross? A lover’s betrayal left hot mess and high maintenance Beatrix Schuler nearly penniless. Broke and brokenhearted, Trixie has to dismantle the extravagant lifestyle she enjoys running the town's popular tavern. Trixie seeks help from Deakon Cavanaugh, old friend and financial adviser. Strikingly handsome, he serves as more than just a physical distraction and may prove to be the only hope in solving her troubles with money—and love—and a cat. Can't forget about the cat.